Let your little boy celebrate Valentine's Day in the coolest way by snagging him this shirt with his favorite online blocks game! 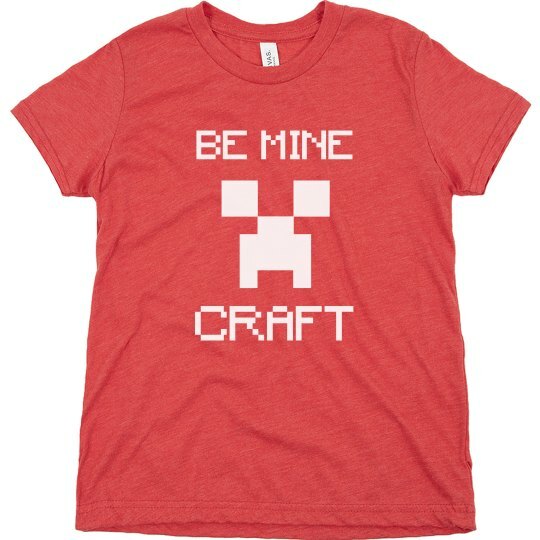 This Be Mine Craft shirt will surely make him have a perfect Valentine because it will be all about his favorite game! After all, his heart is into it, too! You can still customize this shirt on our easy to use Design Center and add some more stuff with the wide array of choices we have for you!